Plagiarism in a reincarnated setting. Funny, yet seemingly unfair treatment of (GB) Male->Female MC. not so much as of now, but Yuri. The emotional havoc that [No Updates] causes. As of Ch.6; we have a well-written protagonist, a promising plot (reincarnated, sent back in time in a modern world, perceived as genius) with twists: (a) she'll debut in the film industry; (b) Gender Bender <insert lenny face>; and non-binary side characters (particularly Jessica). The translation quality is very good (I suspect a large reason for this is the western setting). I really hope someone picks up this hidden gem soon, and not just because I love gender-bender. Honestly, the intro is a mistranslation lily refers to Yuri, not at the S*X level but at least at the holding hand's levels or a kiss level. Which have nothing to do with lilies? The author use alots of slang which don't help in translation, the format is also in America. 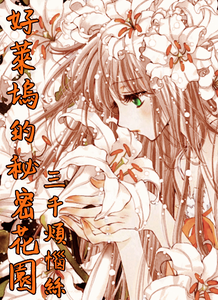 It has thousands of chapters written over the periods of 2 years, with 2 site stories about the main characters meeting up with "himself" before being reborn. It's a troll, no wonder the author didn't officially release it.